At Papé Kenworth Alaska, we are proud to offer you end-to-end solutions designed to keep you moving from start to finish. That’s why we offer everything from roadside truck repair to semi-truck repairs on all makes and models at our service centers, just another reason you can trust Papé to keep you moving. With our up-to-date maintenance and repair procedures, we can get to the root issue faster and get it fixed right, the first time. That’s why every bit of service you have done with us is covered by a 90 day or 25,000-mile warranty on labor on top of the parts warranty. We know how important your truck is to your business, so visit your local Papé Kenworth Alaska dealership to receive top quality service and get back on the road. 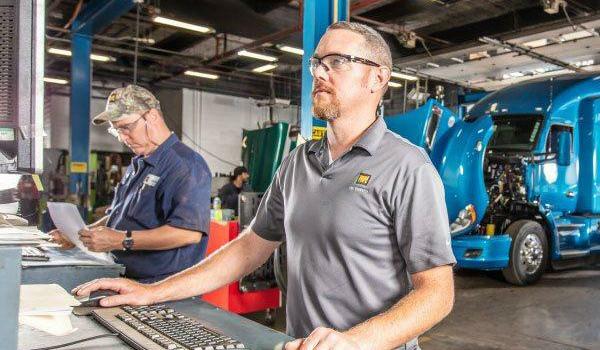 Our focus on consistent, quality customer service means that you and your truck will be taken care of by our expert trained team of technicians. With two Papé Kenworth Alaska locations in Alaska, we're here to keep you moving.